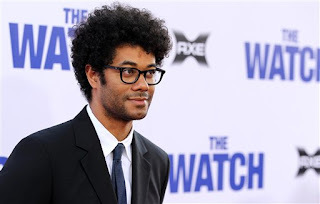 While it was neither a commercial or critical success, this weekend’s The Watch may end up being remembered for one thing: it was the introduction of mainstream American audiences to UK comedian Richard Ayoade. You'll have to listen to the podcast to hear what Pat and I thought of The Watch, but I will say that I found Ayoade's performance to be one of the film's strengths. Ayoade has already had a pretty diverse career and the release of The Watch gives me an excuse to write up some of my favorite efforts of the actor/writer/director. When it comes to reviewing movies often times I find myself caught up in acting, the script/plot and direction, it's terrible because truth-be-told the thing I love the most about movies and filmmaking is the cinematography. Our recent episodes of F.W.O.A.C. 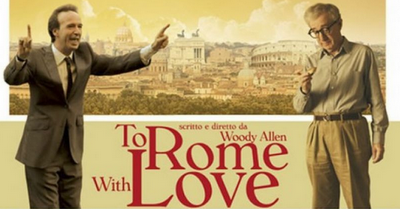 (#0-#4) are not good examples of my true love for the art of filmmaking as we've been bogged down in superheroes and comedies; films that tend to rely heavily on the narrative at the expense of style or "oeuvre." My past is most definitely lined with geekery, but somewhere around the release of Paul Thomas Anderson's Magnolia something changed, I started to notice what the camera did and how shots were framed. Maybe it was because I had just started working with non-linear, or "digital," video editing, but suddenly there was a whole new dimension to film. Anderson's camera lingered, it got closer than other director's dared, it played with focus in ways I hadn't noticed before. 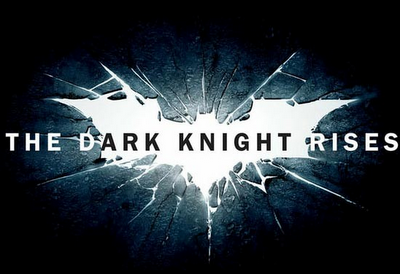 Filmcast Without a Cause returns to exact film criticism on the summer's most anticipated film The Dark Knight Rises! 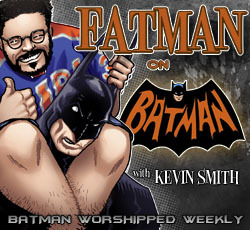 Dan Boberg joins our dynamic duo to share his fanatical Batman insights into the character and its film back catalogue. The trio discusses the impressive line-up for this year's Toronto International Film Festival and Dreamworks purchase of Classic Media. Finally, since this week's film is a veritable mine-field of spoilers, after the closing music, our anti-heroes hold nothing back from the details of the Christopher Nolan's film installment in his much-lauded bat trilogy. Filmcast Without a Cause has its first guest! Jason Burns from Midwest Nerds gives us his insight on a slew of video game movie announcements and news bits from this years San Diego Comic-Con, and finally we tackle our first real film (no capes, no talking animals), Woody Allen's To Rome With Love. Filmcast Without a Cause has decided against rebooting the show and instead produced EPISODE 2! What can you expect? Jacob and Pat react to San Diego Comic-Con teases and expectations, a new web series being produced by Bryan Singer and eventually getting to Michael Fassbender headlining an adaptation of the Ubisoft game "Assassin's Creed." 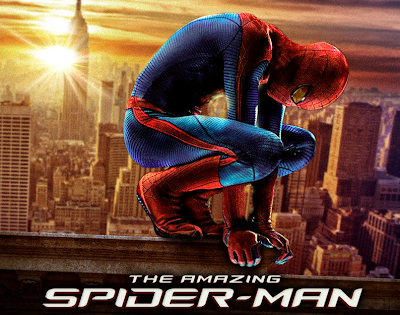 For our feature review we break down Marc Webb's The Amazing Spiderman, followed by a discussion of pie-in-the-sky, dream announcements from Comic-Con, and if you're still with us after all of that we spoiled The Amazing Spider-man rotten at the very end of the show. 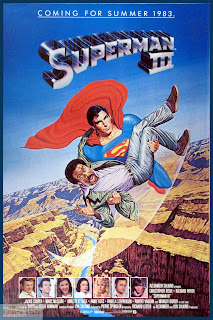 1983's Superman III has a pretty poor reputation. This is primarily due to the fact that it is bloody god-awful. As comedian Paul Scheer described it: "Superman III plays like a Richard Pryor movie where Superman plays a supporting role!" Despite the tagline's promise that "This Time Will Be The Best Time Of All," the Richard Lester's second Superman film is cartoonish, unfunny, logic-defying, and -worse of all- excruciatingly long. 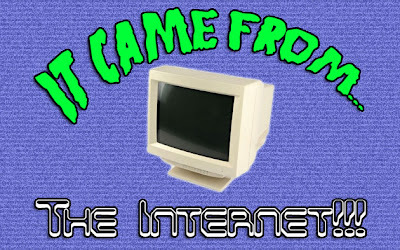 It Came From...The Internet!!! is a recurring feature where we spotlight various videos, images, and miscellanea that we find awesome...and on the Internet. These screen tests for 1979's The Muppet Movie showcase the improv skills of Jim Henson and Frank Oz. If you're a Muppet fan, this is a must-watch. 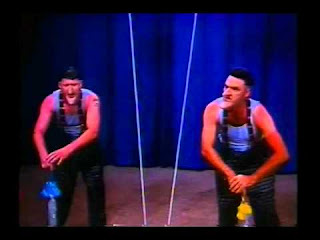 While revisiting "Weird" Al Yankovic's seminal 1989 masterpiece UHF, I immediately became fixated on a seconds-long interstitial section near the end of the film. During this scene, two strange looking characters with long noses and chins are making a sound best typed as "aw-oo-aw-oo-ee-oo" during the climactic station fundraiser. Filmcast Without a Cause has survived the bumps and bruises of its pilot episode to bring you EPISODE 1! What can you expect? Jacob and Pat react to Looper Directer Rian Johnson's tweet to avoid the trailers for his film, we bemoan the financing setbacks Charlie Kaufman's latest project is experiencing and discuss the cinematic game of hot-potato that Edgar Wright is currently playing. 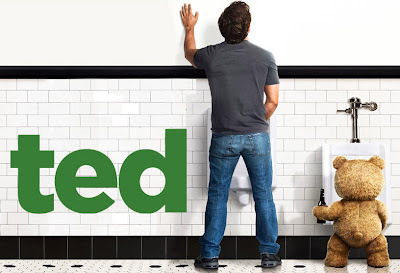 For our feature review we break down Seth MacFarlane's Ted, followed by a look at the second half of the cinematic calendar, and we round out the show by taking you out to the ball game with our fictional filmmaking all star teams, following the Major League Baseball Allstar Game model. Enjoy the show and make sure to leave us some comments/feedback so we can make this puppy sparkle. How can you contact us? 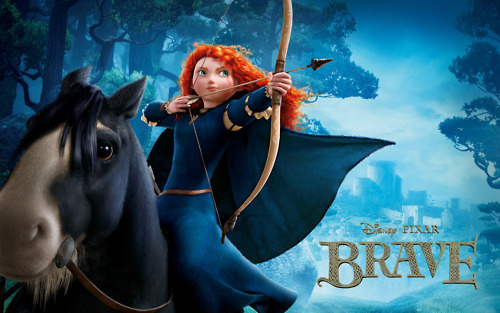 Pixar has gotten into the (lucrative) Disney Princess business with their latest animated feature Brave. The successful animation studio has been getting a lot of press for this decision as Merida, the fiery-headed protagonist, is Pixar’s very first female lead. The studio has brought us plenty of strong female characters in the past (Dory the fish, Elastigirl, EVE), but the Kelly Macdonald-voiced archer is the first to come doll-ready. It is also the studio’s first entry into the fairy tale genre that their parent company began mastering nearly 8 decades ago with Snow White and the Seven Dwarves.